get advice from bloggers! look up emergency numbers! book a table! find out about the market! prospect effectively! chat with the pros! find the right contact! work your network! check your horoscope! find a job! check out what’s on at the cinema! make doctors’ appointments! find a car park! enjoy savings all year-round! give your opinion! look up duty pharmacies! get inspiration! find a property! recommend pros! get good advice! follow bloggers! check the weather! follow the pros! check traffic info! explore Luxembourg! chat with your communities! The magic of Christmas is coming to Luxembourg! Effluves of mulled wine, gingerbread, fir ... 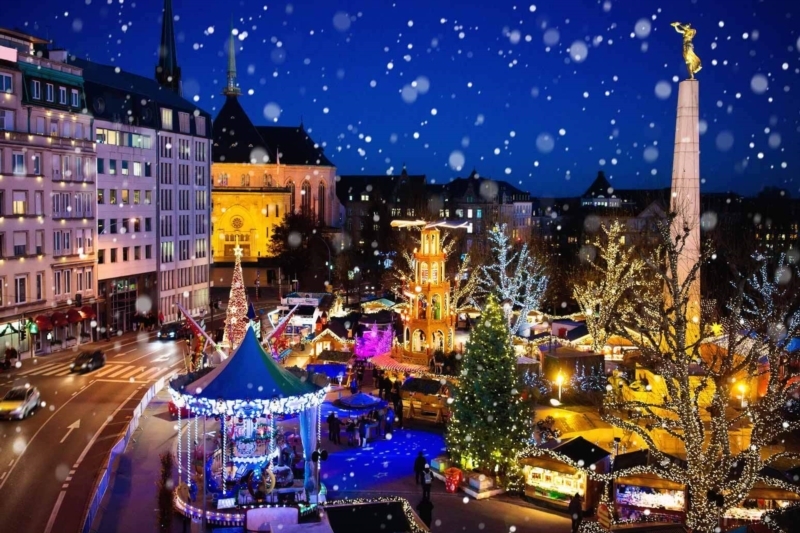 Since Thursday, the season of the Christmas markets is open in Luxembourg. And they have magic to spare! Overview of the festivities scheduled in the capital and across the country. In December, the center of the city turns into a real Christmas village. 130 small cottages were spread over five sites: Place d'Armes, Place de la Constitution (Ferris wheel and giant pyramid), Place de Paris, Puits-Rouge (Solidarity market) and Place du Théâtre. What give you the opportunity to buy your end-of-year gifts (local products, craft and seasonal), but also to enjoy typical drinks and Luxembourgish culinary specialties such as "Mettwurscht" (Luxembourg sausages) and "Gromperekichelcher" (potato pancakes). As every year, the more athletic can, for their part, enjoy the joys of skiing on the way to the ice rink"Knuedler on Ice" , located on Place Guillaume II in front of the City Hall. Among the highlights to remember, the procession ofSaint-Nicolas, who wander the streets of the capital Sunday, December 2. When? From November 22nd to December 24th. Thirty chalets are to discover, all in an atmosphere punctuated by many free concerts. Note that Saint-Nicolas will be present December 6 at 15h to reward children who have been able to be wise as images! When? From November 16th to December 23rd. The oldest Christmas market in the country offers you to discover more than 40 chalets and to admire a sublime illuminated Christmas tree. A 300-m² ice rinkwill be available, while gourmets can feast on Swiss specialties. For this 42 th edition, part of the Market Square, which hosts the festivities will be covered, to allow everyone to enjoy the event even when the weather is less clement. When? From December 7th to 23rd. It is a medieval Christmas market that will be established on the Place de l'Hôtel de Ville. Several typical chalets will be run by local clubs and associations. For the medieval atmosphere, count on an authentic camp, fire shows, a storyteller and traditional dishes straight from the Middle Ages. New this winter, a fair will be held on the Am Duerf square , with the menu of rides and treats. Young and old alike will also be able to enjoy a rich and varied entertainment program every day. When? From December 7th to 16th. 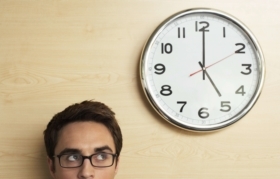 Waiting lists as long as the arm, inflexible hours, distance ... Successfully finding a host institution for his child sometimes falls for the parents of the obstacle course!